There are a number of trip reports for the Maple Leaf train (such as this one for the return trip), but I noticed a few details were often lacking so hopefully I can fill in some gaps here. I’ll be avoiding discussion of scenery and most other qualitative aspects as I think other reports cover these well. Instead I’ll be focusing on the parts of the trip that a person who hasn’t taken this train before would likely want to know (including a few that tripped me up). Two weeks ago the Free Software Foundation announced a review of their High Priority Projects list in which the FSF is asking for input from the public. Per the request, there are a number of projects that I feel “are important for increasing the adoption and use of free software and free software operating systems“, which I’ll be discussing here. Along with those, there are a number of other projects I’ve been thinking of over the last couple years that don’t fit into the free software category per se, but would be societally beneficial nonetheless. As well as providing input for the FSF’s HPP list, the list of projects here serves as a record of items I would work on given enough time. Since I probably won’t be able to work on all of them, it seems best if I just publish the list, both so that people can think about projects new to them or in new ways, and so that others can see reasons to work on important projects and hopefully make some of these dreams a reality. To use it, you will need a POSIX shell and wget or curl. If you are using Ubuntu or Mac OS X, you already meet the requirements. If you are using Windows, you will need to get a POSIX shell such as MSYS and wget for Windows. To run TEDTalks Downloader, make sure the script is executable (chmod u+x tedtalks_downloader.sh should do it) and then run ./tedtalks_downloader.sh, preferably in an empty directory. The script will then download the TEDTalks feed, create a videos directory, and start downloading videos to it. If TEDTalks Downloader is interrupted while running, you can run it again from the same place and it will automatically start where it left off. Also, if there are more TEDTalks available, running TEDTalks Downloader again will download the new talks without re-downloading all the other talks. This tool was made in response to a request on my TEDTalks download script and MythTV metadata article. You can find more information about getting TEDTalks data in MythTV from there. If you have any comments or questions about TEDTalks Downloader, please let me know by posting a comment to this article or contacting me directly. 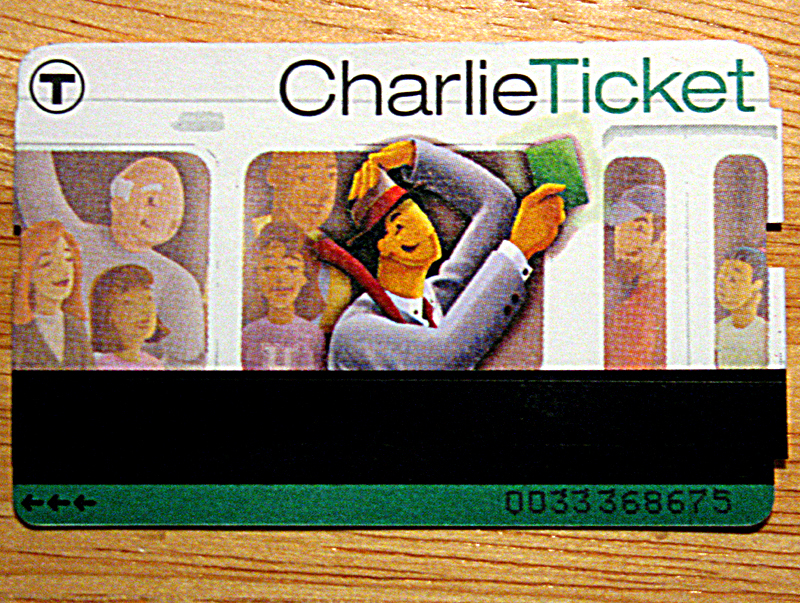 Boston’s CharlieTicket by rekha6. 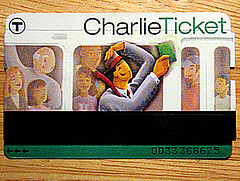 This image is licensed under the Creative Commons Attribution-Noncommercial-No Derivative Works 2.0 Generic license. The One Laptop per Child project has recently restarted their Give One, Get One (G1G1) program. The last G1G1 program ran from November to December last year. This one is expected to be ongoing, with no end date specified. So you don’t have to worry about missing an ordering deadline. When I wrote about the last G1G1, they were only shipping to Canada and the USA. This time around, they have added Europe and Australia to the list of shipping destinations. Interestingly, they have chosen to charge in GBP for all non-US shipping destinations. The cost is £275 plus £50 shipping, which works out to CAD$621.63 using today’s buying rate from Citizens Bank. I paid about CAD$450 when I bought two XO-1s in November 2007 so it’s a bit more expensive this time around, but that’s to be expected with the Canadian dollar being lower than it was then. If you live in Canada but have relatives or friends in the USA, I would recommend shipping it to one of them. At USD$399 (CAD$510), buying through the G1G1 program in the US is much less expensive than buying through the G1G1 program to ship to Canada. To purchase XOs through the G1G1 program, go to http://amazon.com/xo. If purchasing within the US, you will be able to get your XO before Christmas if you order today or tomorrow. If purchasing outside the US, the deadline for Christmas shipping has passed, but you can still order an XO for later shipping. I have enjoyed using my XO since I got it this past January. I would recommend it particularly for those with children, as the interface is really designed for them. If you have any specific questions about the XO for someone who has used it for a few months, please reply in a comment to this post and I’ll get back to you. Since I installed Ubuntu 8.10 three weeks ago, I have not installed a Flash player. I don’t just mean I haven’t installed the Adobe Flash Player, I mean I haven’t installed any Flash player at all, not even Gnash or Swfdec. Those of you who know me as a free/libre/open-source software (FLOSS) advocate may be wondering why this is. After all, I don’t need to use any non-libre software if I run Gnash or Swfdec. I’ll explain why having a FLOSS implementation of a technology is not enough for me to use it.